I bought this pink V-neck long sleeve t-shirt at Target. I like the shirt pretty well. When I was deciding what to wear this morning I was thinking about my boss, a woman, who recently told me she refused to dress her daughter in pink as a child. 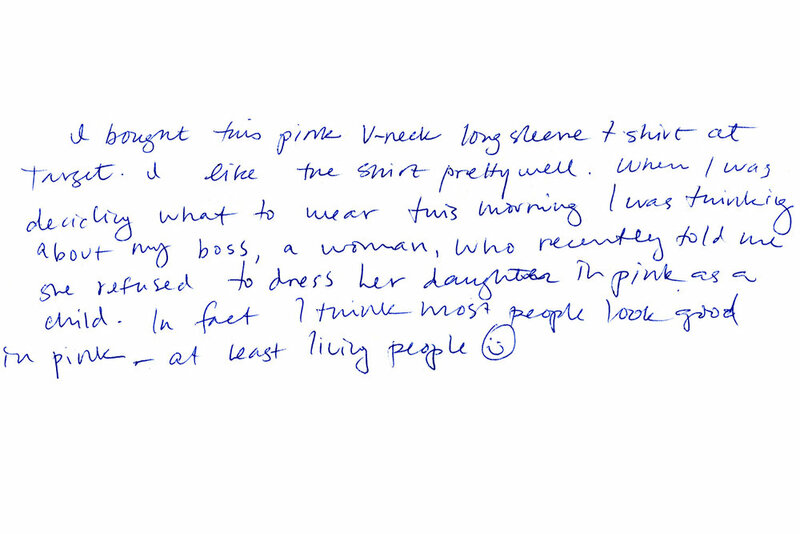 In fact I think most people look good in pink - at least living people.